Known to some as a pianist extraordinaire; to others as a member of the famous group of musicians referred to as "The Wrecking Crew;" to a select few as a onetime juvenile delinquent, as well as an accidental disturber of dolphins with a Federal Criminal Record to show for it; and to still others as an adventurist and avid lover of life - especially regarding women. Now, I’m an author with a memoir all about my life in Hollywood and show business, both for better and worse. 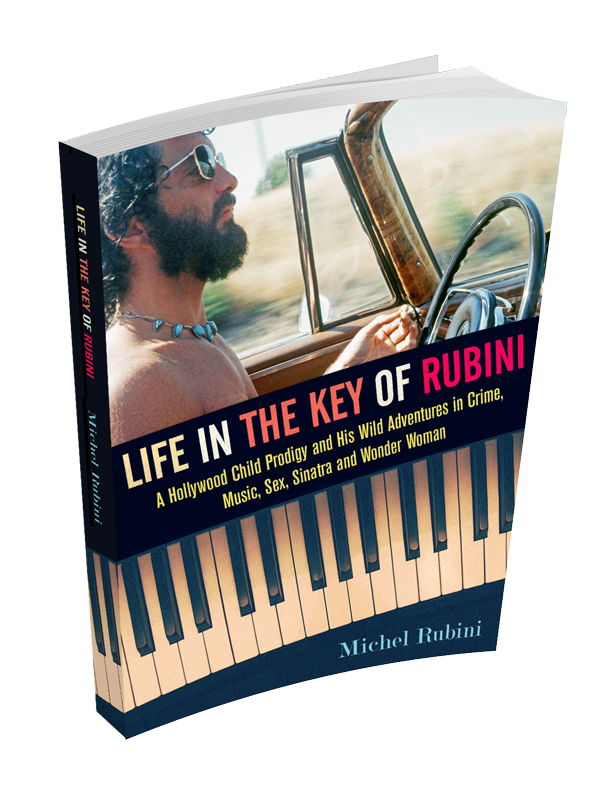 Life in the Key of Rubini is Michel Rubini’s high-flying, heartfelt, and often gripping memoir about his days of hit-making, hell-raising, and skirt-chasing in a Hollywood sadly long gone. From playing on classic hits such as “Strangers in the Night,” “I Got You Babe,” and “Unchained Melody” to involvements with gorgeous film and TV actresses such as Raquel Welch, Joanna Moore, and Lynda Carter (i.e. Wonder Woman), the evidence is in: Michel Rubini has led the kind of life that will astound, and to prove it, check out the over two dozen rare photographs from Michel's personal collection featured in the book. A child prodigy, born into a famous yet dysfunctional family, Michel Rubini started playing piano at four years of age; became a juvenile delinquent at fourteen; and then achieved major success as a touring concert pianist by sixteen. Following high school, Rubini left classical music behind for good, however, to swiftly become one of the most sought-after studio musicians among the famous Wrecking Crew of the ‘60s and ‘70s, performing on smash hits for some of the most prominent artists of all time, including Sonny and Cher, Frank Sinatra, the Jackson Five, and Elvis Presley, to name but a few. 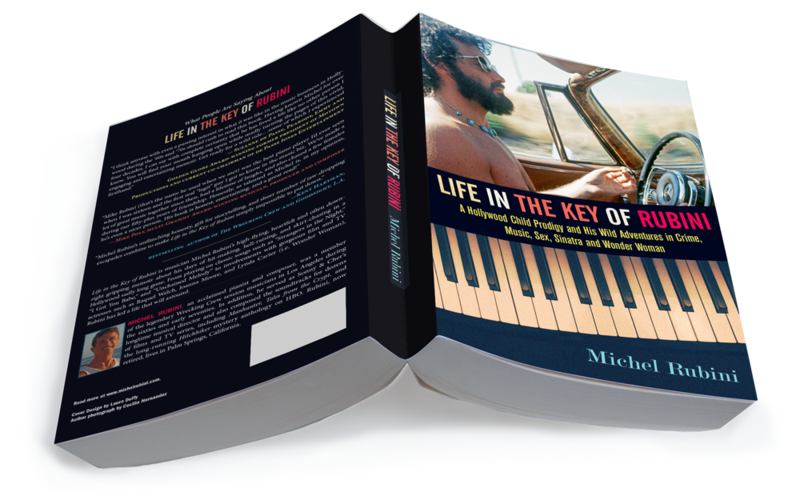 Michel’s gripping, evocative memoir, Life in the Key of Rubini, details his illustrious musical career as well as a tumultuous personal life spent with an alcoholic mother; several instances of child abuse and sexual molestation; the hard reality of the music business; brushes with some of the colorful drug-addicted personalities of that time period; and a robust dating life that featured liaisons with some of Hollywood’s most glamorous starlets, including a long-term, off-and-on affair with the original Wonder Woman, Lynda Carter.